UK-listed Bwin.party ditched an agreed deal with 888 on Friday in favor of a higher 1.1 billion-pound ($1.7 billion) offer from GVC Holdings, creating a sports betting heavyweight in a sector being reshaped by consolidation. GVC and 888 have spent months battling for larger rival Bwin in one of a number of deals being thrashed out in the industry as firms try to bulk up in response to higher tax bills and tighter regulation in Britain and continental Europe. 888 said it could not justify making a higher offer, signaling victory for GVC. Sports betting will comprise around 70 percent of the enlarged group’s revenue, with the firm expected to take over 4.5 billion euros ($5 billion) in sports wagers a year. “I think unless you have scale you are going to struggle to compete,” GVC Chief Executive Kenny Alexander, who will lead the new group, told Reuters. Solid track recordBwin said GVC’s higher offer as well as its track record of integrating acquisitions, such as that of Sportingbet in 2013, and a higher expected cost savings were all factors for switching its support. Savings are estimated at 125 million euros annually by 2017. 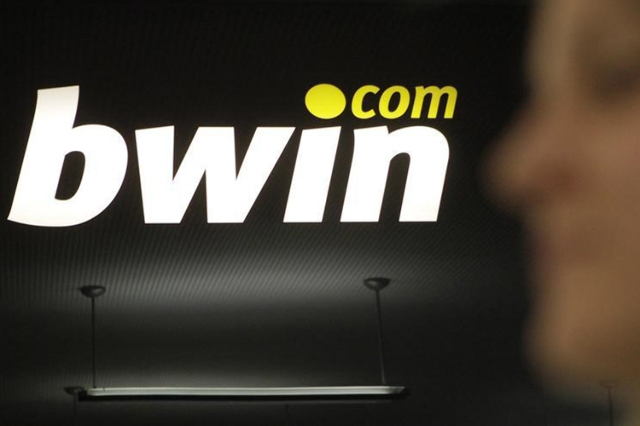 Bwin, itself created by a merger announced in 2011, had recommended a 900 million pound offer from 888 in July over a higher and more complex GVC bid. However GVC worked to ease Bwin concerns around its financing and savings projections and an improved offer was enough to see off an increased 888 bid. Bwin Chairman Philip Yea told reporters some of its investors had preferred an 888 deal but that it was very hopeful of gaining the necessary support for the GVC offer. “There was a pretty even split of those (shareholders) that expressed views one way or the other. But we also had a significant block of shares that was happy to support the board on its deliberations,” Yea said. Ader ‘very satisifed’ with outcomeU.S. activist investor Jason Ader, whose SpringOwl vehicle is among Bwin’s biggest shareholders, with a stake of just over 5 percent, said via email that he was “very satisfied” with the outcome and the premium GVC was offering represented “the best value for all shareholders. Ader, a former gaming analyst, has in the past publicly and repeatedly supported the 888 bid over GVC’s. Ader, who is also on the board of Las Vegas Sands Corp., has emerged as part of a group hoping to transform downtown’s Cashman Field into stadium that could host a Major League Soccer franchise. The deal will place further pressure on 888 and William Hill, whose position as Britain’s leading bookmaker has come under been threat from this year’s consolidation. The firm had a bid for 888 turned down in February. “For 888, this is a blow, given a strong strategic fit between the businesses, and the desire to build scale in a consolidating market,” Canaccord Genuity analysts wrote in a note.Leading gambling companies Paddy Power and Betfair agreed a merger in principle last month, while Ladbrokes and Gala Coral have struck a similar deal. Macquarie Securities gaming analyst Chad Beynon told investors the offer price and synergies of GVC deal “were simply too high to accept the competing offer” from 888 Holdings. Beynon said he didn’t think the combined GVC-Bwin.party entity would be a big threat to Canada-based Amaya Gaming, which owns PokerStars and is looking to launch an Internet gaming sports business. “Overall, the result is slightly mixed for Amaya, but we believe it’s slightly more favorable than the other outcome (888 buying Bwin),” Beynon said in an investors note.